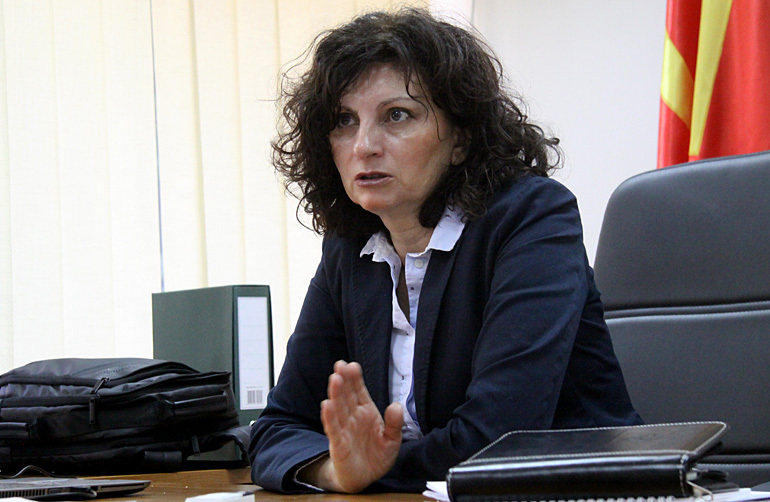 Members of Parliament, too, need to follow the laws they voted to adopt, State Commission for Preventing Corruption chairwoman Biljana Ivanovska told MIA in a recent interview. "This is the easiest way to get on the right track," she pointed out. 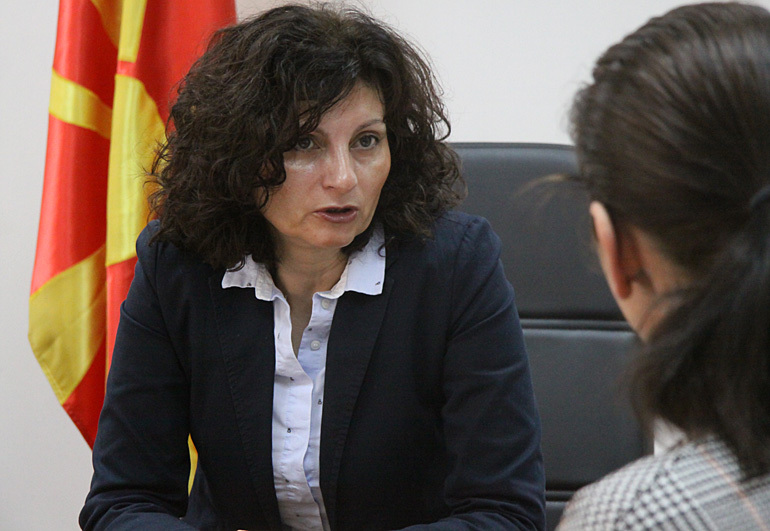 Skopje, 27 February 2019 (MIA) – Members of Parliament, too, need to follow the laws they voted to adopt, State Commission for Preventing Corruption chairwoman Biljana Ivanovska told MIA in a recent interview. “This is the easiest way to get on the right track,” she pointed out. The State Commission for Preventing Corruption has recently been investigating the hiring of 18 state officials’ relatives amid charges of nepotism. 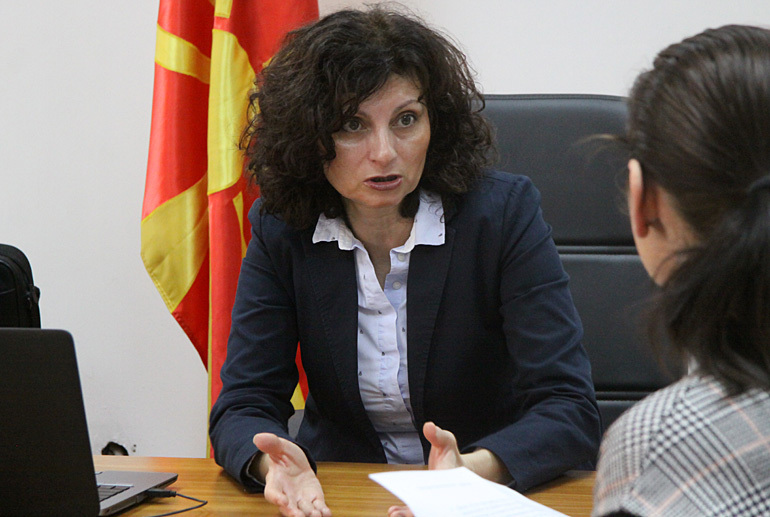 The probe is especially important as this is the first time that the Commission’s members have been elected in a transparent, public procedure. Is this the first test to see if you can resist outside influences in your fight against corruption and nepotism? The Commission’s members were appointed transparently and publicly. Civil society representatives and the press interviewed the applicants, and this contributed to the election of the best possible candidates. Nepotism is a delicate matter, so the Commission began investigating these 18 cases immediately. Our findings are due in two months, and when we announce them, the public can judge if we’d been influenced or not. So far, there hasn’t been any pressure on us. Should any such attempts be made, however, we will respond with facts and arguments, as these are our greatest weapons. The Commission has a higher level of authorization than ever before. For example, you now have access to state officials’ bank accounts. Will this help you do your job better? 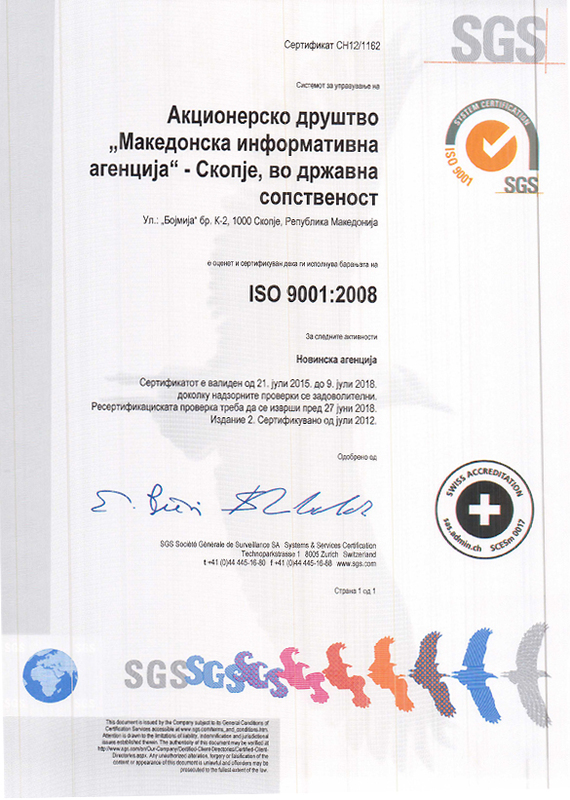 The new level of authorization is to enable the Commission to access several institutional databases, such as those of the Agency for Real Estate Cadaster, the Public Revenue Office, and the Ministry of Interior so we can detect any irregularities, false financial disclosure reports, and conflicts of interest, for example. But poor working conditions prevent us from setting to work right away. We have yet to acquire a space where we would install the equipment allowing us access to these databases. I expect we’ll find a suitable office soon. Next, we need to install software for checking the validity of financial disclosure reports. This software would help us do our job faster, and we’ll be able to provide the public with more accurate information. How do you plan to make up for the past two years, when the Commission was nonexistent, let alone for the eight years before when it didn’t do its job at all? There are a lot of investigations which haven’t been completed, but we’re starting with the most sensitive ones. We’ve launched the nepotism investigations, and we’ll work on the presidential elections in parallel. We’ll deal with the most current issues first. However, it’s our duty to consider all submissions to the Commission. How prepared is the Commission to monitor the financial aspects of upcoming election campaigns? The new law gives us the authority to monitor how the campaigns are financed. We are currently developing a memorandum of cooperation with the State Election Commission and the State Audit Office and discussing our authorities. We’ll watch for any possible abuse of financial and human resources, and see if the parties use campaign accounts or other sources to cover election expenses. We’ll try our best to do our jobs as efficiently as possible. I’d like to also call on the public, the media and the NGOs to report any abuse of state resources. Does the Commission also need to hire more people? Of course. Right now, we’re getting to know all sectors of the Commission and the staff at our disposal. It’s obvious that 20 employees cannot cope with the entire workload and we’ll have to bring in reinforcements soon. How can a citizen report any violation or get information about the Commission’s ongoing investigations? Anyone can submit a report; our informers are protected by the law. People can also file anonymous reports. We care about the information we receive, and not about who gave it to us. For example, we launched the nepotism investigations following media reports. Is it difficult being chairwoman of the Commission? The job itself is not difficult, but we struggle with improving transparency, as often don’t have the time to respond to all media requests. These issues are delicate and concern the public, so everyone wants more information, but we’re sometimes pressed for time.